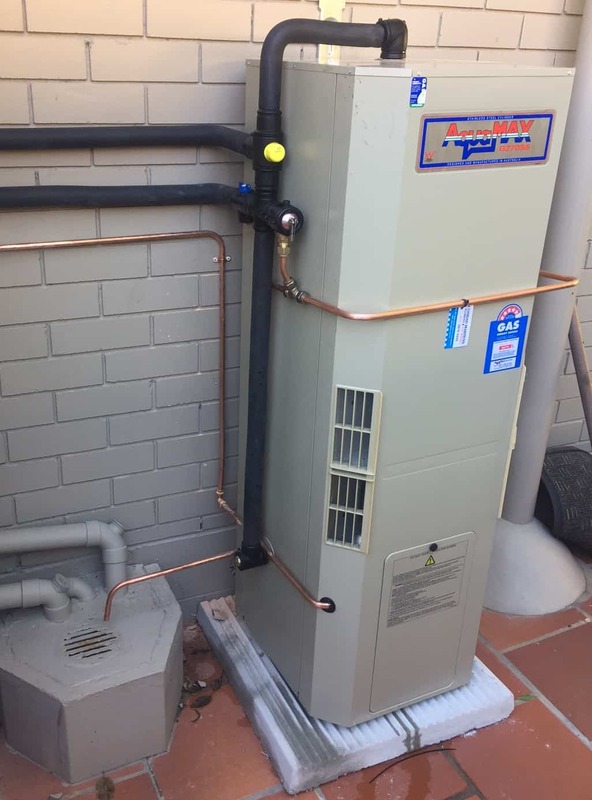 With the abundance of gas water heaters available, choosing the best system for your property requires careful consideration. This guide is designed to help you make an informed decision. If you are looking for a quote, service or advice, please don’t hesitate to contact us on 3878 4444 to speak with a licenced gas fitter. The two most prominent gas water heaters currently in production are the ‘gas storage tank’ and the ‘continuous flow water heater’. Storage tanks are a traditional design which heats water via a thermostatically controlled gas burner. This design typically uses a pilot light which is in constant operation. Continuous Flow hot water systems are highly efficient and use state of the art technology to heat water a multi-staged and heat exchanger. The design is a refinement of the instantaneous water heater. These systems do not require a pilot light and are capable of accurately delivering hot water at a pre-set temperature. L.P.G. (commonly referred to as propane), is supplied via storage cylinders. Depending on the application, these cylinders are either “swap-and-go” or filled in situ by the gas supplier. Throughout Brisbane, L.P.G. fuels cooking appliances, gas cook-tops and hot water heaters. Low volume users and properties limited to 1-2 people may find L.P.G. gas cheaper than Natural Gas, as it does not incur metering costs. The quality of water and gas services available at your property may impact your options as a consumer. 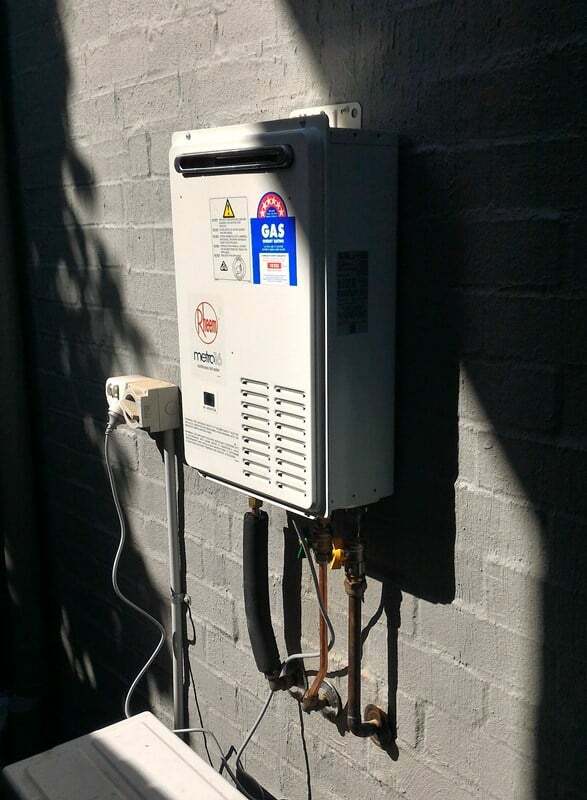 If you have a Natural Gas connection in Brisbane, the supply can either be Low (1.2kpa) Medium (2.75kpa) or High Pressure (2.75+kpa). It is important to consider the available pressures when selecting a gas water heater to ensure the water heater can work to its full capacity. In some instances it is possible to request a gas pressure upgrade if the mains supply pressure exceeds the meter outlet pressure. – A power source (such as a weatherproof GPO). – 20mm gas service which can deliver up to 150Mj/h. – A water service with a suitable flow rate (old galvanised pipes may cause flow issues). – Flow restrictors may also require removal to achieve adequate flow rates. – As these systems have inbuilt temperature controllers, they do not require tempering valves. – Non-return isolation valve, pressure and temperature relief valve (PTR), expansion control valve (ECV) and tempering valve. – A drain line which complies with the plumbing and drainage code. – 15mm (1/2”) gas line or greater. 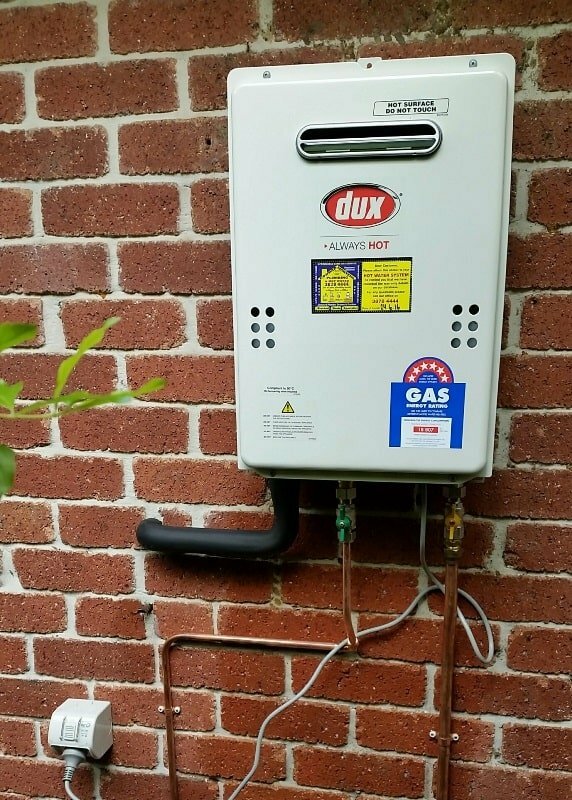 The AGA (Australian Gas Association) uses a star rating system to label gas hot water units. Storage tanks range from 3 – 5 star efficiency. Continuous Flow gas water heaters range from 5 – 6.7 star energy efficient. Condensing Continuous Flow gas water heaters range upwards of 6.5 energy efficient. Vitreous Enamel (VE) tanks are a “tried and tested” traditional construction. Chances are, your current hot water unit is VE. This construction is an enamel coated steel which uses a sacrificial anode to help prolong the life of the tank. Rheem and Dux are two reliable manufacturers of Vitreous Enamel gas hot water heaters. Warranty periods for VE tanks range from 5-12 years. 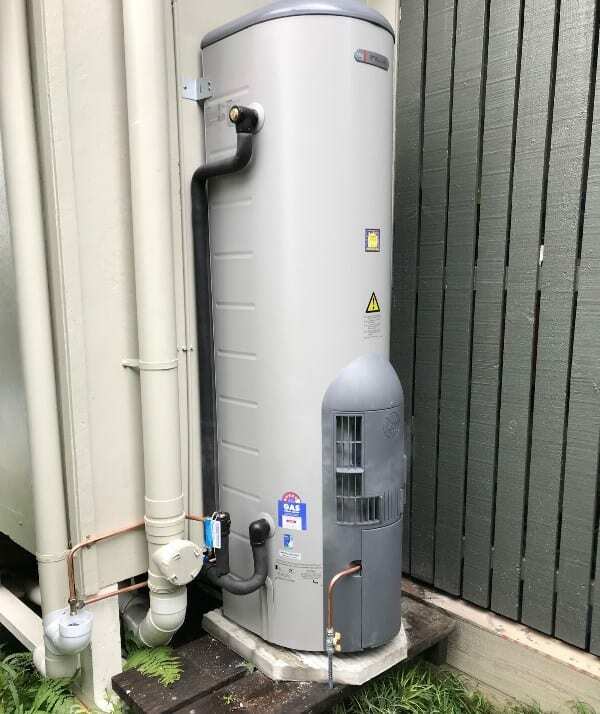 Stainless Steel gas hot water heaters are a relatively new introduction into the Australian Market. This construction is a premium product which offers an increased lifespan and warranty period. Stainless Steel tanks do not have an anode and instead rely on a protective coating. SS tanks such as the Rheem Stellar range, carry an impressive warranty of up to 12 years however do not carry a manufactures warranty for areas with poor water quality. For more information, please refer to Rheem’s Suitability map.